With a traditional look and strong design, this vanity will help any bathroom look nicer. Keep many bathroom items in its roomy drawers and double-door cabinet. Put a classic feel in your bathroom with this good-looking set from Wyndham Collection. For a bit of traditional style in your bathroom, choose this beautiful vanity. The good-looking beige tan marble counter and white solid wood base make a big difference in your bathroom. It comes with a double-door cabinet and drawers for even more room to keep items. Bring a classic look and feel to your bathroom with this beautiful set from Wyndham Collection. Acclaim 48-inch W 8-Drawer 2-Door Vanity in White With Mirror With a traditional look and strong design, this vanity will help any bathroom look nicer. Keep many bathroom items in its roomy drawers and double-door cabinet. Put a classic feel in your bathroom with this good-looking set from Wyndham Collection. 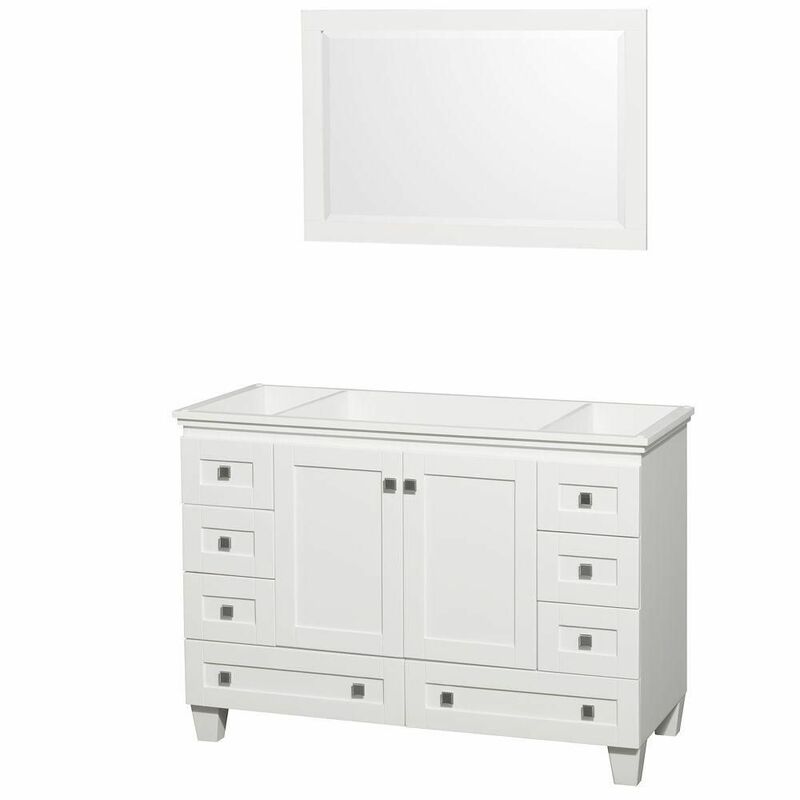 Acclaim 48-inch W 8-Drawer 2-Door Vanity in White With Mirror is rated 4.7 out of 5 by 13. Rated 5 out of 5 by Bathroom reno from Looks great Vanity was delivered within online spec times. Well packaged and looks great. Nice soft close drawers and even the drawer handle are installed!